Indian history abounds with stories of valorous kings, princes, princesses and warriors; many , who went on to take their clan to the very helm; literally burning their names onto the sands of time. One such story is that of the valiant warrior king, Chhatrapati Shivaji Maharaj. In this month's post, we bring you the story of this Emperor who made India proud to have produced a son of this caliber. Shivaji Bhonsle was a descendant of the Bhonsle Maratha clan. Shaping out a branch from the declining Adilshahi Sultanate of Bijapur, he formed the great Maratha Empire. He was crowned as the Chhatrapati or Emperor of Raigad in 1674. 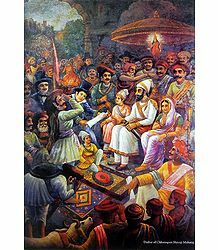 Shivaji was born on April 6, 1627, in the hill-fort, Shivneri, located in Junnar in Pune District. Some other records indicate that he was born on February 19, 1630. He was named as Shivaji, after the local goddess Shivai, to whom his mother Jijabai had prayed for a healthy child. His father, Shahaji Raje Bhonsle was a Maratha general, who served the Deccan Sultanate. At the time of his birth, the Deccan Sultanate shared its powers with 3 other Islamic Sultanates, namely, Bijapur, Ahmednagar and Golkonda. Shivaji's father always switched loyalties between the Nizamshahi of Ahmednagar, the Adilshah of Bijapur and the Mughals. Jijabai was a very religious and pious woman. The religious environment at home deeply influenced Shivaji. At a very young age, he inculcated Hindu traditional values and studied the epics, Ramayana and Mahabharata, in great detail. He was also keenly interested in studying religious texts and discussing philosophy with Hindu and Sufi saints. In the meantime, Shahaji married again. His second wife, Tuka Bai, came from the Mohite family. Leaving Jijabai and Shivaji at Pune, under the care of his administrator, Dadoji Konddeo, he shifted to Karnataka and led a military offensive on behalf of Adilshah. Dadoji Konddeo went on to train Shivaji in the basic fighting techniques, archery and marksmanship, sword fighting, horse riding and so on. Though the young prince received very little formal schooling, he is said to have been very wise and erudite. Shivaji gathered his earliest allies and a large number of soldiers from the Maval region. Along with them, he traveled far and wide, over the hills and dense woods of the Sahyadri range, thereby gaining extensive knowledge about the terrain and general weather conditions in those areas. All this knowledge was to come of use at a later time, when he led military campaigns over other rulers. At the age of 12, Shivaji was taken to Bangalore, along with his elder brother, Sambhaji and his step-brother, Ekoji I. There, the boys received further formal training. In the year 1640, he married Saibai, a member of the well-respected Nimbalkar family. In 1645, Shivaji convinced Inayat Khan, the Bijapuri commander of Torna Fort, to resign control of the fort to him. Some believe that the former actually bribed Khan into doing that. He acquired Kondana fort too by bribing the Adilshahi governer. Firangoji Narsala, who was in control of the Chakan fort, was one of Shivaji's loyalists. In order to stop the boy's progress, the then Adilshah, Mohammed Adil Shah, ordered Baji Ghorpade to imprison Shahaji. Some versions of the story state that Shahaji was released in 1649, after Shivaji and Sambhaji surrendered the forts of Kondana, Kandarpi and Bangalore. In any case, Shahaji chose to lead a quiet life after his release. He then died during a hunting accident around 1665. After his father's death, Shivaji became more active and resumed raiding and seizing more kingdoms. In a bid to altogether destroy Shivaji, the Adilshah ordered Afzal Khan, a senior general, to attack him. The year was 1659. Afzal Khan, an Afghan by descent, was a powerful warrior of the Bijapur Sultanate. So famed was he for his swordsmanship, that he was awarded a famous sword, studded with diamonds, known as the Adili. He was also gifted the mighty elephant Howdah, named Dhal-Gaj and possessed a personal force of 10,000 soldiers. Inflicting several casualties on the Maratha forces, he forced Shivaji and his troops to take refuge in the hill forts. In order to force Shivaji out from his hiding place, he desecrated several Hindu temples, including Pandharpur, which is one of the most sacred pilgrimage sites. He further took Tuljapur and razed down the statue of the Hindu Goddess, Bhavani. Knowing that he would not be able to defeat Afzal Khan in the plains, Shivaji moved to Pratapgad, whose terrain was extremely difficult to navigate and was also surrounded by dense forests. His own army worked best with this type of terrain. Afzal Khan was well aware that a full-blown battle would cause too much damage for both the parties involved. Hence, he sent out messengers to Shivaji, in order to get him to negotiate peace. Shivaji's advisors too opined that he should try and call a truce if possible. Deciding that their meeting place would be Pratapgad, Shivaji agreed to Khan's condition that they would both be unarmed and would be meeting each other, bringing along 2 bodyguards each. Khan further stipulated that one of these bodyguards would be a swordsman and the other, an archer. Accordingly, Shivaji put up elaborately decorated tents at the location. However, expecting attack from Khan's army, he also asked his soldiers to be posted in ambush at various points along the path leading to the meeting place. 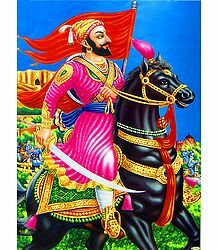 Shivaji secretly wore armor under his clothing, a steel helmet under his turban, hid a weapon called 'wagh nakh' (tiger claws) in his left arm and a dagger in his right. At the very start of the meeting, Khan came ahead to embrace Shivaji, as was his custom. He then tightened his clasp on grabbed his neck with his left arm, striking him with a kitar. Stunned for a few moments, Shivaji quickly recovered and counter-attacked him with the wagh nakh. He then stabbed him with his dagger and fled away towards the tent. When Khan's men came to attack him, his own men fought and killed them. Afzal Khan's bearers carried and placed the seriously injured warrior inside the palki, preparing to take him away from there. But they were attacked by Sambhaji, who finally decapitated Khan. On reaching the Pratapgad fort, he signaled his hidden troops to launch an offensive on the Bijapuris. Shivaji's army routed the Bijapuri Sultanate and pursued their retreating troops right until Wai. More than 3000 Bijapuri soldiers were killed in the ensuing Battle of Pratapgad and the 2 sons of Afzal Khan were captured as prisoners. The severed head of Afzal Khan was taken to Raigad and was presented as an exhibit to Jijabai. Shivaji's thumping victory instantly made him a legendary hero among his people. The raid also gave his army additional weapons, armor, horses, wealth, treasures and other resources, which further helped strengthen the emerging Maratha army. Incidentally, this story of the Battle of Pratapgad has been a favorite subject of playwrights and filmmakers in Maharashtra. After this battle, Aurangzeb, the then Mughal Emperor, declared Shivaji as one of the major threats to the mighty Mughal Empire. This further enhanced Shivaji's confidence and he, along with Netaji Palkar, the chief of the Maratha cavalry, planned to defeat the Adilshahi kingdom at Bijapur. In order to avenge their humiliation at Pratapgad; also to defeat the emerging power of the Maratha army; another army of over 10,000 soldiers was sent to defeat Shivaji. This army was commanded by Bijapur's Abyssinian general Rustamjama. Shivaji's cavalry was only 5000-member strong. They attacked the enemy near Kolhapur. Shivaji led the army from the front. The battle lasted long, at the end of which the Bijapuri forces were rendered practically powerless. Rustamjaman fled the scene and the Adilshahi forces lost over 2000 horses and several of their elephants to the Marathas. Infuriated further, Aurangzeb, who derisively addressed Shivaji as the “mountain rat”, decided to altogether whiff out the Maratha army. In 1660, Adilshah ordered his general Siddi Jauhar to attack Shivaji's border in the South, along with a parallel attack from the Mughals from the North. At that time, Shivaji was put up at Panhala fort, along with his troops, near Kolhapur. Siddi Jauhar's army lay siege on Panhala, thereby cutting all supply routes to the fort. The general began bombarding the fort with grenades that he had purchased from the British at Rajapur. He also asked some men belonging to the British artillery to attack the fort. This infuriated Shivaji and he swore that he would avenge this by plundering the English factory at Rajapur. Some accounts relate that Shivaji escaped from the fort and fled to Ragna or Vishalgad fort, following which Ali Adil Shah lay siege on the fort. Yet other accounts state that months after the siege, Shivaji negotiated with Siddi Jauhar and handed it over to the latter. After a few years, he re-captured the Panhala fort. As per some versions, Shivaji was pursued by the enemy, as he tried to escape from Panhala. His sardar Baji Prabhu Deshpande of Bandal Deshmukh and some 300 soldiers decided to fight unto death, in order to keep the enemy at bay at Ghod Khind. This gave him the time he needed to reach the safety of the Vishalgad fort. In this battle of Ghod Khind, the small Maratha army managed to hold back the enemy. Baji Prabhu Deshpande was seriously wounded, but continued to fight on until he heard the cannon booming at Vishalgad. This place was later named Paavan Khind, in honor of Baji Prabhu Deshpande and all the others who fought and sacrificed their lives there. Until about 1657, Shivaji managed to maintain peaceful relations with the Mughal Empire. He even offered help to Aurangzeb to conquer Bijapur. In return, he was offered full rights to control the Bijapuri forts and villages under his possession. Shivaji then confronted the Mughals again in 1657, when 2 of his officers raided their territory near Ahmednagar. Shivaji then followed it up with raids in Junnar, where he lifted several horses and seized much cash from their treasury. Aurangzeb retaliated by sending Nasiri Khan to fight him. Khan battled against and defeated him at Ahmednagar. In accordance with the request of the Badi Begum of Bijapur, Aurangzeb asked his maternal uncle, Shaista Khan, to attack Shivaji's army. Khan's army numbered over 150,000, with an impressive artillery division as well. His army planned to attack Shivaji in conjunction with Siddi Jauhar's army. Shaista Khan's army was truly powerful and effortlessly sized Pune and the Chakan fort nearby. Shaista Khan further forced his way into Maratha territory, finally taking Shivaji's palace, Lal Mahal, as well. 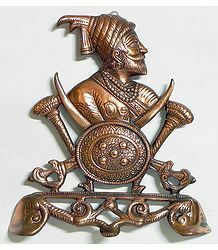 In 1661, Kartalab Khan, an Uzbek general, was ordered by Shaista Khan to attack several of Shivaji's forts, in order to reduce his power in the Konkan region. The 30000strong Moghul army hoped to surprise the Marathas. In the ensuing Battle of Umberkhind, Shivaji's army ambushed the enemy in the dense forests of the nearby Umberkhind pass, located near the present-day Pen. Sensing defeat, the Moghul commander, a Maratha woman called Raibagan, advised Kartalab Khan to surrender themselves, along with their arms. They did so and were granted safe passage. In 1663, however, Shivaji launched a surprise offensive on Shaista Khan in Pune. He and his small army of 200 or so followers invaded Pune, using a wedding procession as cover. They breached the heavy security, broke into the palace, overcame the other guards and then made their way into Khan's living quarters. Khan managed to escape, but his son got killed in the fight. Khan fled the scene and took refuge with the Moghul forces just outside Pune. Humiliated with this defeat, Aurangzeb punished Khan by transferring him to Bengal. Aurangzeb, fuming with the humiliation of repeated defeat; sent Mirza Raja Jai Singh I, with an army of 150,000, to attack and rout Shivaji. His powerful forces were able to subdue Shivaji's own. He captured several of Shivaji's forts, till finally, the latter was forced to accept Aurangzeb's conditions. The Treaty of Purandar was then signed between Shivaji and Jai Singh in June 1665. The former gave up 23 of his forts and had to pay up a sum of 400,000 rupees as compensation to the Moghuls. Apart from that, he had to agree to let his son Sambhaji become a Moghul sardar, to allow him to serve in the court of Aurangzeb and also to fight on the Moghul's side against Bijapur. Netaji Palkar too joined the Moghuls and was well-rewarded for his bravery. He eventually converted to Islam and changed his name to Quli Mohammed Khan in 1666. However, in the year 1676, he returned to Shivaji and also came back to Hinduism. In the year 1966, Aurangeb invited Shivaji to Agra. He plotted to send him and Sambhaji to Kandahar (present-day Afghanistan), in order to consolidate the northwest frontier of the Moghul Empire. In the court, he made Shivaji stand behind his military commanders. This angered Shivaji, who felt insulted and stormed out of the court. He was immediately arrested for humiliating the court and was placed under house arrest, under Faulad Khan's supervision. Shivaji learnt from his spies that Aurangzeb had plans to move him to Raja Vitthaldas' palace and then either kill him there or send him to fight for the frontier. He then decided that he had to escape from there. Shivaji pretended to fall critically ill and requested that most of his contingent be sent back to the Deccan. That way, they would remain safe. He then requested that sweet and gifts be sent to saints and Sufis every day, asking them to conduct prayers for his health. A few days later, he disguised himself as a laborer and carrying a sweet basket, managed to escape. Shivaji and Sambhaji then fled to the Deccan, disguised as holy men. In 1670, Shivaji launched an attack against the Moghuls and, within 4 months, recovered a massive portion of the territories that he had surrendered to them. In 1674, Prataprao Gujar, the commander-in-chief of the Marathas, was sent to hold hack the Adilshahi force led by general Bahlol Khan. The former defeated and captured the general, also cutting off the army's water supplies. Bahlol Khan started pleading for peace and in spite of Shivaji's warnings against agreeing to Khan's request, Gujar acceded and released Khan. Shivaji wrote Gujar a terse letter, ordering him to recapture Khan. At that time, the latter was camping with a 5000-strong force at Nesari near Kolhapur. As per his order, Prataprao, along with 6 of his sardars, attacked Khan's army in a suicide mission. Prataprao died in this battle, but the Marathas avenged his death by capturing Bahlol Khan. Shivaji, saddened on hearing about Prataprao's demise, arranged for his second son to marry the latter's daughter. Anandrao Mohite, who became Hambirrao Mohite, became the new commander-in-chief of the Marathas. Though Shivaji had captured many lands and much wealth, he had not formally been given the title of ruler. The Marathas reckoned that a royal title would make him look more formidable to his enemies and would also prevent any unprecedented attacks by other rulers. Accordingly, they arranged a grand coronation ceremony for Shivaji. He was crowned as the King of the Marathas at Raigad on June 06, 1674. Pandit Gaga Bhatt officiated the ceremony and, holding a gold pot filled with water from the sacred seven seas over Shivaji's head, he chanted the mantras for the coronation. He then chanted the Vedas and poured the sacred water over his head and declared him the ruler of the Marathas. Shivaji humbly bowed down to touch Jijabai's feet and take her blessings. He was then given the jaanva or the sacred thread to wear. 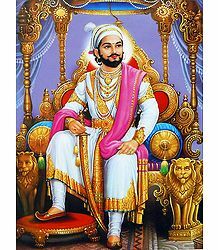 He was entitled 'Shakakarta' (founder of an era), 'Kshatriya Kulavantas' (head of the Kshatriyas) and finally, 'Chhatrapati' (paramount sovereign). He then also took the title of 'Haindava Dharmoddhaarak' (the one maintaining the rights of the Hindus). Jijabai died within a few days of the coronation. Considering this to be a bad omen, he was given a second coronation ceremony on September 24 the same year. This time, the rites followed were as per the Bengali school of Tantricism and was supervised by Nischal Puri. Following the coronation, the Marathas became more aggressive, raiding Khandesh, taking Ponda, Karwar and Kolhapur. They then raided Athani in 1676 and by the year end, had seized Belgaum and Vayem Rayim in present-day Karnataka. Within that year end, Shivaji launched numerous offensive attacks in southern India, along with his 30000-strong cavalry and 20000-strong infantry. He took the Adilshahi forts at Vellore and Gingi in present-day Tamil Nadu. He then proclaimed that the “Deccan” or Southern India as home territory and ordered that it be protected from all forms of external attack. 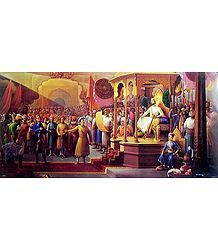 He also entered a treaty with the Qutubshah of the Golconda Sultanate, which spanned the eastern Deccan. This conquest of southern India proved to be a significant turning point – Gingee became the Maratha capital during the Maratha War of Independence. Shivaji tried to reconcile with his step-brother Venkoji (Ekoji I), who ruled Thanjavur, after Shahaji's demise. But his endeavor was unsuccessful. So, on his way back to Raigad, Shivaji attacked and defeated his army and seized most of his wealth and property in and around Mysore. Venkoji's wife, Dipa Bai, took up negotiations with Shivaji and convinced her husband to move away from the Muslims. Eventually, Shivaji agreed to return much of what he had seized to her and her female descendants. Venkoji also agreed to many of his conditions regarding administration and maintenance of those territories, as also maintenance of Shivaji's future memorial. Sambhaji, Shivaji's eldest son, had started becoming irresponsible and was misbehaving and so, there was a question regarding the heir-apparent to the throne. Shivaji confined him to Panhala, but the prince escaped with his wife and defected to the Moghuls. He then returned home and was unrepentant of his actions. He was held again at Panhala. In late March 1680, Shivaji went down with severe dysentery and fever and died in early April the same year, on the eve of Hanuman Jayanti. He was 52 years old. There were rumors after his demise, that his second wife, Soyarabai, had poisoned him, as she wanted her son Rajaram to ascend the throne. On April 21 that year, 10-year old Rajaram was installed on the throne. However, Sambhaji took the Raigad fort and, after killing the commander, took control of Raigad. He arrested Rajaram, his wife Janki Bai. Soyarabai too was imprisoned on charges of conspiracy. Sambhaji then ascended the throne at Raigad. Forts: Shivaji possessed several strategically important forts, such as Pratapgad, Murambdev, Kondana, Torana and Purandar. He laid the very foundation of swaraj or self-rule and had gained control of 360 forts by the end of his rule. Besides these, he constructed nearly 20 new forts and repaired several old ones. Once his work was done, he had built a chain of over 300 forts, which stretched on endlessly for a thousand kilometers, spanning the rocky stretch of the Western Ghats. 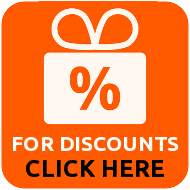 Language: Shivaji replaced the Persian language, most prevalent at that time, with Marathi. He stipulated that Marathi be the official language in his court and that Hindu political traditions be followed while in the sabha. Apart from that, he also propagated the Sanskrit language, even giving his forts Sanskrit names such as Suvarndurg, Sindhudurg and Prachandgarh. Additionally, he named his council of ministers with terms such as senapat, nyayadhish and so on. Religion: Shivaji was a strict follower of Hinduism. However, he believed in respecting all religions. He also venerated all contemporary saints and sages. He strongly opposed forced conversion and was liberal in thought, including equal rights for women. He regularly consulted with both sadhus and Sufis regarding various matters of philosophy. He was especially devoted to Swami Ramdas and even built a Samadhi for the Swami within the Sajjangad fort. Shivaji's respect for Islam can be seen in the fact that he had several stalwart Muslim soldiers, especially in the Navy. In those days, Muslim soldiers were known for their skills in combat and artillery. Shivaji built up a strong military force, which lasted till the very end of the Maratha Empire. Besides, he also had a powerful navy backing him. Maynak Bhandari, one of the most formidable chiefs of the Maratha Navy, was largely responsible in building this navy and safeguarding the entire coastline of the Maratha Empire. While he built forts such as Sindhudurg, he also reinforced old forts such as Vijaydurg. Thanks to his efforts, the Maratha Navy stood undaunted against the British, the Portuguese and the Dutch. Bhandari was one of the pioneers of maintaining commando forces, carrying out guerilla warfare, using firearms and novel arms such as the tiger claw. His famous war cry was 'Har Har Mahadev'. Shivaji was well aware about the importance of maintaining full security at the coastline and also protecting the western Konkan from external attack. He knew that building a strong navy would offer the maximum security to his kingdom. He constantly tried to resist the dominance of the British Indian naval forces. This is why he is also referred to as the 'Father of the Indian Navy'. He created a powerful naval presence along the entire coast of Konkan and Goa. This protected his subjects from coastal raids, plunder and looting. He also built ships in towns such as Bhivandi, Goa and Kalyan for the navy as well as for trade purposes. Apart from these, he build sea fort bases as well, in order to offer storage, shelter and repair services for damaged boats. After coming into possession of about 9 nine ports in the Deccan region, he started trading with foreigners, in order to bring in even more money into the kingdom's coffers. Soon after Shivaji's demise, the Moghuls tried to attack the Marathas, but could not harm them. They continued their attacks and skirmishes from 1681 to 1707. Finally, the Moghuls were completely defeated. One of Shivaji's grandsons, Shahu, was held as a prisoner of war for 27 years by Aurangzeb. After his death, his successor released Shahu. He then had a minor power struggle with his aunt Tarabai and went on to rule the Maratha Empire from 1707 to 1749. At this time, he appointed Balaji Vishwanath Bhat and then his descendants as the Peshwas (prime ministers) of the Maratha Empire. Ever since Aurangzeb's death, the Maratha Empire expanded vastly, under the rule of the Peshwas. It spread its wings right from Tamil Nadu in the south, to Peshawar in the north and Bengal and the Andaman Islands in the east. In the year 1761, the Marathas lost the Third Battle of Panipat against Ahmed Shah Abdali of the Durrani Empire. This loss prevented them from expanding further into the northwestern parts of India. A decade after that, Madhavrao Peshwa reestablished the authority of the Maratha Empire over north India. He granted semi-autonomy to the most powerful knights, so that they would share the responsibility of maintaining the Empire. This gave rise to a confederation of Maratha states, called the Gaekwads of Baroda, the Scindias of Gwalior and Ujjain, the Holkars of Indore and Malwa, and the Bhonsales of Nagpur. The year 1775 saw the emergence of the first Anglo-Maratha war, when the British East India Company involved itself in a succession struggle in Pune. The Marathas continued to fight them and win till the Second and the Third Anglo-Maratha wars, when the East India Company won and took control of most of India. As of the present, Shivaji is considered national hero in India. This legend is especially in the State of Maharashtra, where he is venerated as one of the greatest figures of India's history. He is adored as an invincible Warrior King; an Emperor second to none and his story is an integral part and parcel of Marathi people's lives. Even great leaders and thinkers such as Swami Vivekananda, Lokmanya Tilak, Rabindranath Tagore and so on, held the great warrior in very high esteem. Shivaji's character attracted much controversy as well; particularly among sects of the educated intelligentsia. Some claimed that he was a Kshatriya (warrior class) and others, that he was a Shudra (lowest in class). Leaders such as Jawaharlal Nehru had drawn much public criticism when he spoke about the Warrior King as being treacherous and scheming; especially referring to the way in which he killed Afzal Khan. Such was the public outcry against him that he had to relent and apologize for the nature of his comments. He then endorsed Shivaji as a great nationalist leader. Several other leaders and authors were brought to book for having passed negative comments about the Chhatrapati. However, by the end of the 19th Century, everyone started acknowledging the ruler as a major factor responsible for starting off the Indian Independence movement. From the political point of view, Shivaji is again an icon that holds deep influence in modern India, particularly in Maharashtra. While his name repeatedly features in art and literature, the Maratha-oriented Shiv Sena party, the Bharatiya Janata Party, as also the predominantly Maratha-based Congress parties such as the NCP in this state feature leaders such as Yashwantrao Chavan, who are considered to be political descendants of the great Warrior King. One can find Shivaji statues almost all over Maharashtra and in some other Indian cities as well, such as Goa, Vadodara, Surat, Arunachal Pradesh, Agra and so on. The National Defence Academy in Pune prominently displays a statue of Shivaji within its premises. The Parliament House complex in Delhi includes a Shivaji statue. Shivaji statues can be found in many places in the city of Mumbai. Now the Government of Maharashtra plans to build a new one on the Mumbai coast. They aim to make this the tallest statue in the world, surpassing even the Statue of Liberty in the USA. The Indian Navy has named one of its bases, INS Shivaji, after the Warrior King, in a gesture of respect to his great contribution to naval warfare in this country. The Government of India has issued postage stamps with his picture on them. The Shivaji University in Kolhapur is an important educational institution. The VJTI, which was originally called the Victoria Jubilee Technical Institute, was renamed to Veeramata Jijabai Technological Institute, in deference to Shivaji's mother. The famous Victoria Terminus (VT) railway station in Mumbai was renamed as the CST – Chhatrapati Shivaji Terminus. The Mumbai International airport was renamed in 1996 as the Chhatrapati Shivaji International Airport. His statue was also placed within the forecourt of the terminal. However, it was later removed in order to further extend the terminal. Shivaji's name and legend is a major part of India's literature, poetry and art; especially so in Maharashtra. Several books have been penned on the life and time of the great warrior; each giving a glimpse into a different facet. Similarly, his story has inspired several poems and paintings as well. The 2 most famous plays on Shivaji include Jaanta Raja by Babasaheb Purandare and Raigadala Jevha Jaag Yete by famous Marathi playwright, Vasant Kanetkar. The Marathi films Ganimi Kawa and Me Shivajiraje Bhosle Boltoy draw an impressive sketch of his character on the silver screen. 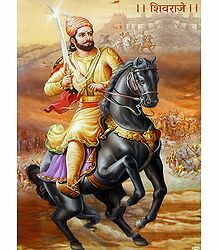 Raja Shiv Chhatrapati, a Marathi TV serial and Veer Shivaji, a television series in Hindi, ably related the story of this great warrior king – Chhatrapati Shivaji Maharaj.